The very first Maiden released on 1980 from EMI music in England. The name of the album was 'Iron Maiden'. There were 8 songs in that album; some of them were stranger world, running free and maiden. The second release was 'Killers' on 1981, wrathchild, another life and killer were some hits of that album. 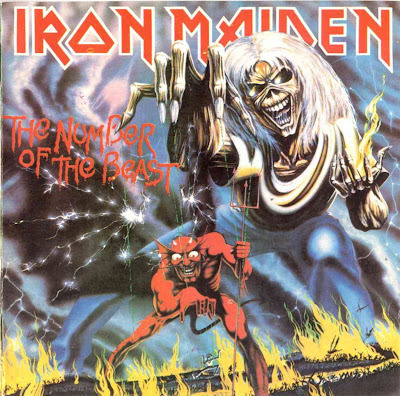 In 1982, the album 'The number of the beast' released and created history. All the numbers became hit including run to the hills, the number of the beast, hallowed by thy name and children of the damned. It made Maiden one of the great bands. 'Piece of Mind' released in 1983 and became accepted world wide; 'the trooper' became the biggest hit in that time. 'Powerslave' released in 1984. In the year of 1985, an album was released in the name of 'somewhere in time' but it didn't get the expected success. The next Maiden album released after a gap of three years, it was 'seventh son of a seventh son'. All the numbers of that album were biggest hit of all time. The next was 'No prayer for the dying' released in 1990, with a change in band line up. 'Fear of the dark' was the very next to it, released in 1992, the biggest hit of all time. 'The x-factor' released in 1995 and the 'Virtual XI' released in 1998. In 2000 Maiden released 'Brave new world'. From 1980 to 2000, Maiden gave us twelve great music albums. Iron Maiden would always be remembered as a greatest band in the history of rock music.